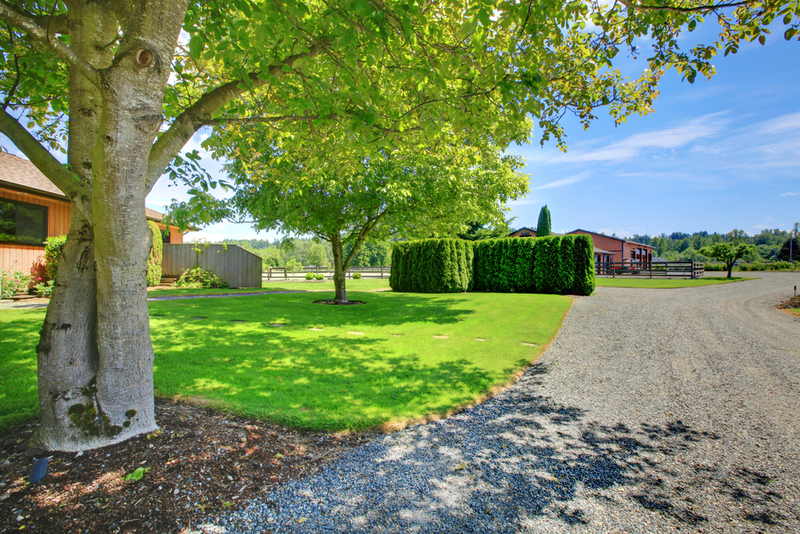 Having a gravel driveway installed can offer many potential benefits. Gravel is cost effective and durable, so it can help homeowners keep their outdoor space looking tidy. Gravel suppliers, including the professionals at Manchester Aggregate Supply, in Hartford County, CT, will help you obtain the highest quality materials for your driveway and inform you on how to give your property the aesthetically pleasing look you desire with longevity. Preserving a gravel driveway is simple with the help of these experts. Since gravel is a loose material, at some point small gaps or potholes will start to develop. This shouldn’t be a major issue early in the life of your driveway. However, when it does happen, it’s important that you contact your gravel suppliers and bring in extra gravel, rather than trying to simply move the existing material around. The latter only constitutes a temporary solution, and the pothole will reappear shortly afterward. Bringing in extra gravel can actually help you fix the problem for a significant period. Water is one of the main enemies of a gravel driveway. If it doesn’t drain properly, it can wear down the material and displace the grains. To avoid this, you’ll need to make sure that there’s enough of a grade when you have the gravel added, then maintain that subtle slope throughout the life of your driveway. This should help the water drain properly off of your gravel and onto the other parts of your yard without doing significant damage. Even if you have a landscaping fabric or material installed beneath your gravel driveway, weeds can find a way to sneak through. Make sure you apply weed killer quickly so that it doesn’t continue to grow and displace your gravel. Manchester Aggregate Supply has been a top supplier of gravel, road sand, and screened and unscreened topsoil for more than 40 years. The gravel suppliers pride themselves on offering quality recycled products and providing fast and professional service to every customer. To learn more, call (860) 643-7777.